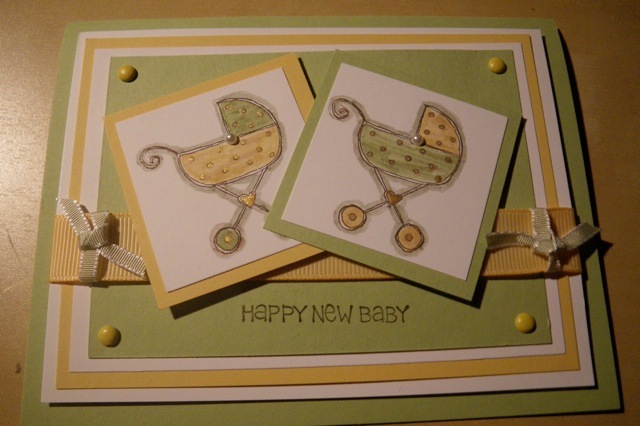 Stamp with Melva: Welcome New Baby! 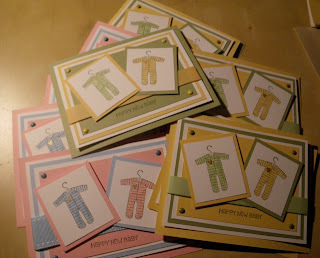 I have a friend who is expecting at the end of March. 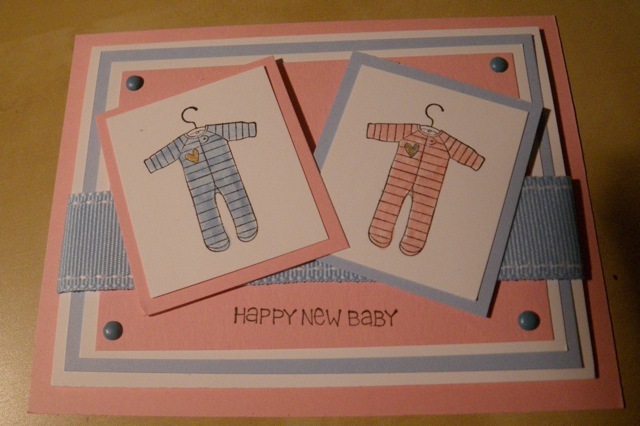 This is the card that I made to celebrate the arrival of their new baby. While I was at it, I made some "Happy New Baby" cards for and upcoming Swap. 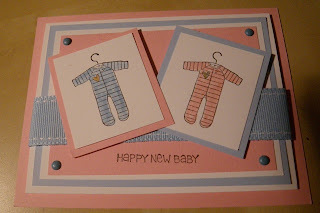 This is the same design, but the stamp is one the many included in the "A Slice of Life" set.